This brand new complex has four spacious villas, all set in their own private grounds. The villas have four double bedrooms all with en-suite bathrooms and private balconies. 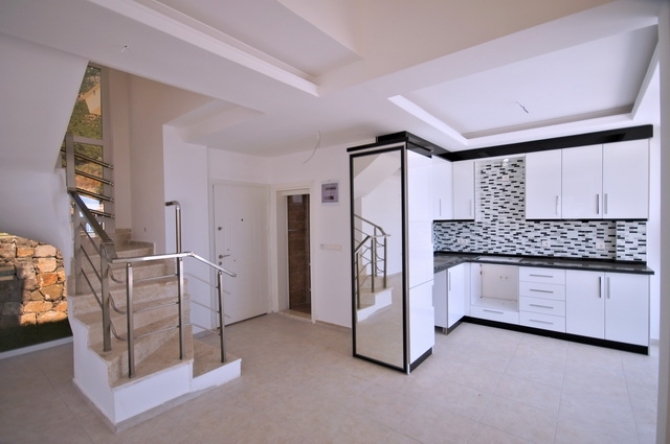 The entrance floor is where the large modern kitchen is with marble work tops with the dining area from the kitchen. The lounge is spacious and has a wrought iron fire place. From the lounge and dining area you have access to the main terrace. The first and attic floors have two large en suite bedrooms on each floor with private balconies. 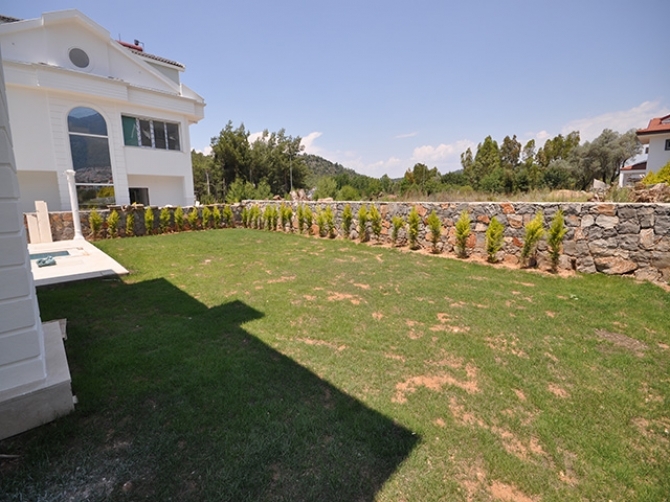 These villas are situated in a beautiful quiet setting of Ovacik and have natural views of the forestry and mountains. Only 2 remaining for sale!